Boating is a way of life for water lovers, which is why there are certain rules that must be followed to ensure everyone’s safety. If you’re new to boating, here are some general boating etiquette tips & advice (for both passengers and pilots) you should be aware of to ensure passenger safety both on and off the water. When returning, tie up your boat on the opposite side of the dock so that other boaters may launch while you are retrieving your tow vehicle. 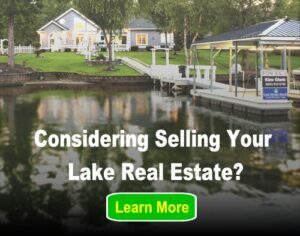 Boat wakes can cause damage to floating docks, can cause seawall damage and have even thrown children off floating docks. Keep in mind that you are responsible for your own wake, and should be accountable for any damage you cause by it. If your wake causes other boaters distress, knocking items (or people) off a dock, you could be held liable for damages or injuries. Be mindful of wake zones at all times and remain in compliance. When overtaking a boat, allow for as much room as depth conditions allow for. Consider your wake, and slow your speed if necessary to ensure you don’t rock the other vessel. If that vessel is a sailboat, overtake it by passing astern to avoid blocking its wind. If you are the vessel being passed, slow your speed to a reasonable clip to allow the other boater to get around you safely. Leave plenty of berth between yourself and other boaters, especially when carrying multiple passengers or playing loud music. Sound carries much farther on the water, and you want to avoid disturbing your neighbors if at all possible. Avoid traveling between a fishing boat and the bank, even if that watercraft does not appear to be moving. When first entering an anchorage, reduce your speed significantly so as not to create any wake at all. The rules of anchoring deem that the first person into the anchorage is the one who determines the swing radius. Mimic the leader in how you tie off and anchor, and use roughly the same amount of distance between boats. These boating etiquette rules will go a long way toward ensuring your time on the water is as pleasant as possible. 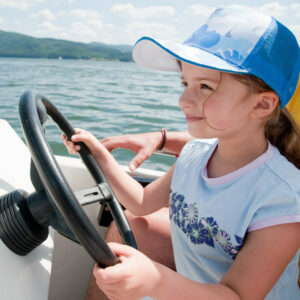 Boating consists of a tight-knit community of individuals, which is why good manners are so important. Next post: Value of My Home Is Rising … Do I Need More Homeowners Insurance?